Do you like a natural style? Then these glasses from Donna Wilson are for you. 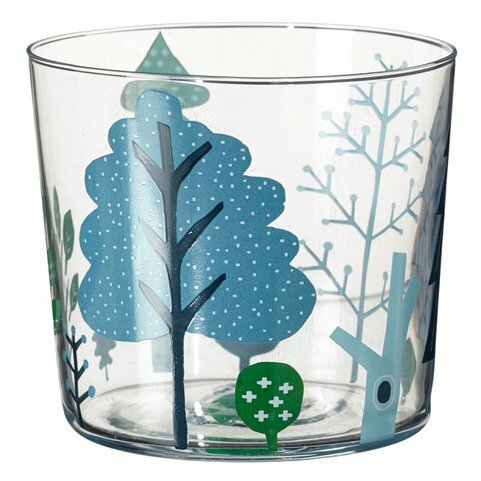 Glasses with and design of different trees that together form a forest. 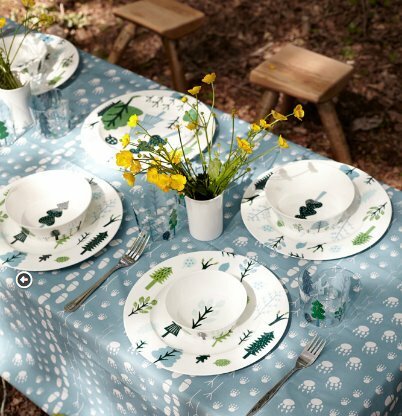 Lovely forest glasses designed by Donna Wilson. 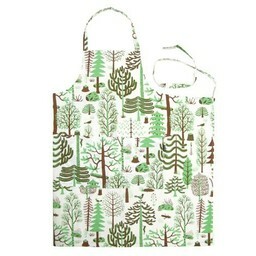 The forest design reminds Donna Wilson of her home in Scotland and the farm where she grew up. Nice to combine with the other products of the forest collection like the forest bowl, forest plate and forest tea light. Not suitable for the dishwasher. Made in Stoke-on-Trent, England. Donna Wilson is known for products where color and print come together, in short, real eye-catchers for your interior. Handmade products with designs that are inspired by her predilection for nature, animal kingdom and making things, mostly of textile using traditional techniques such as felting, sewing and knitting. Color: red and brown on white.